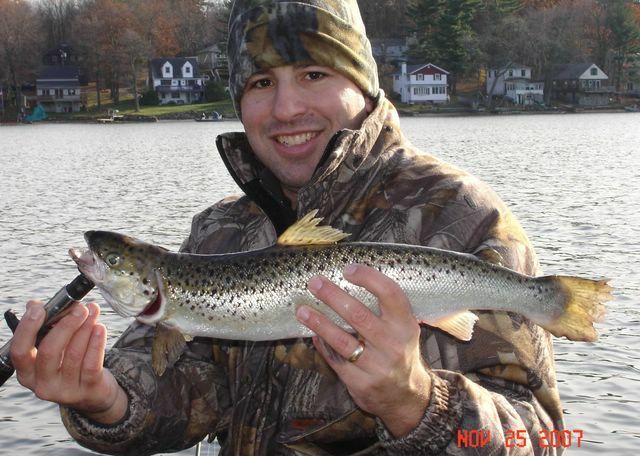 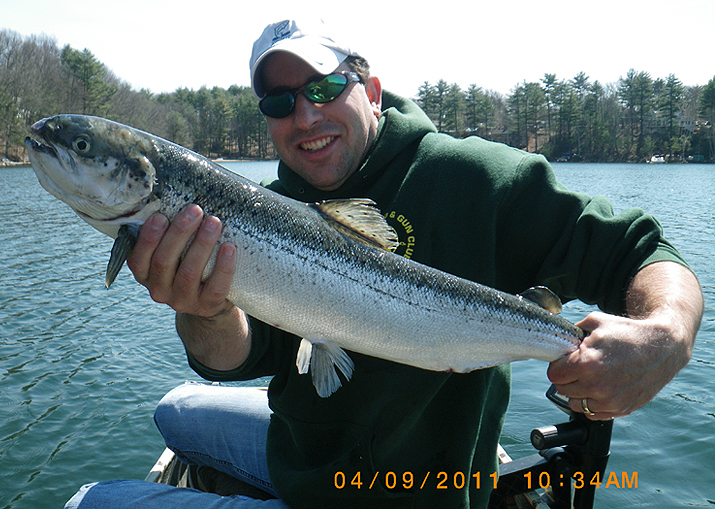 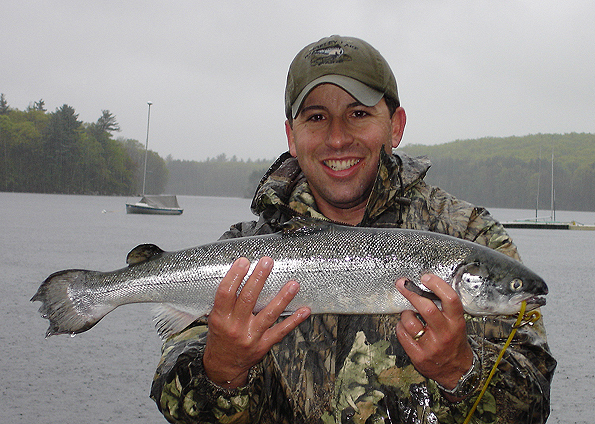 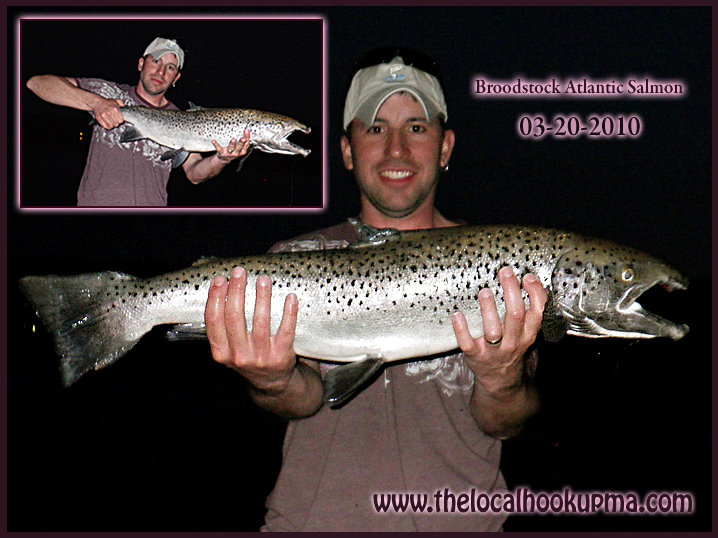 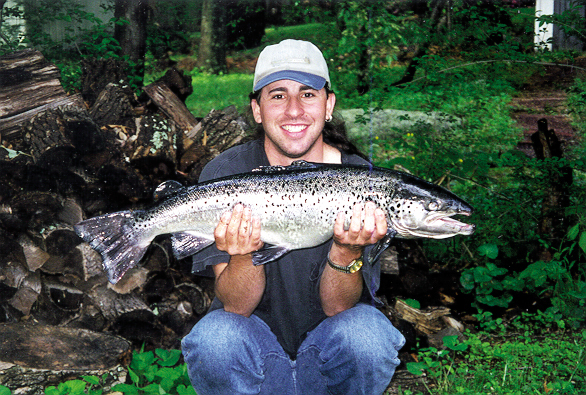 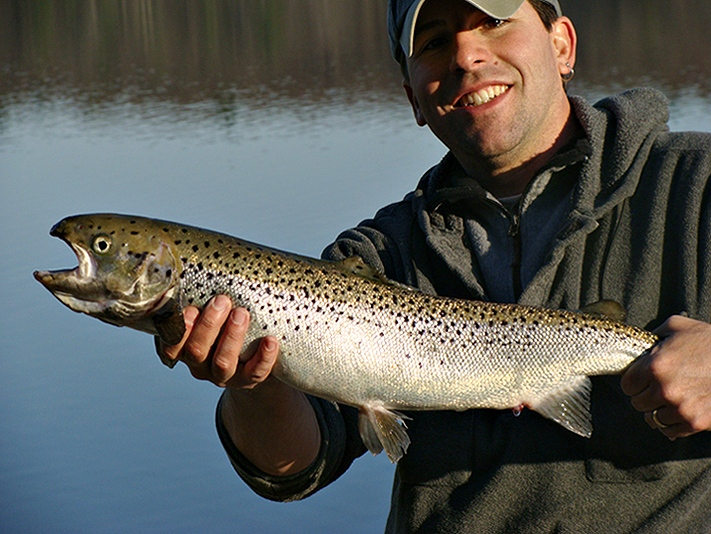 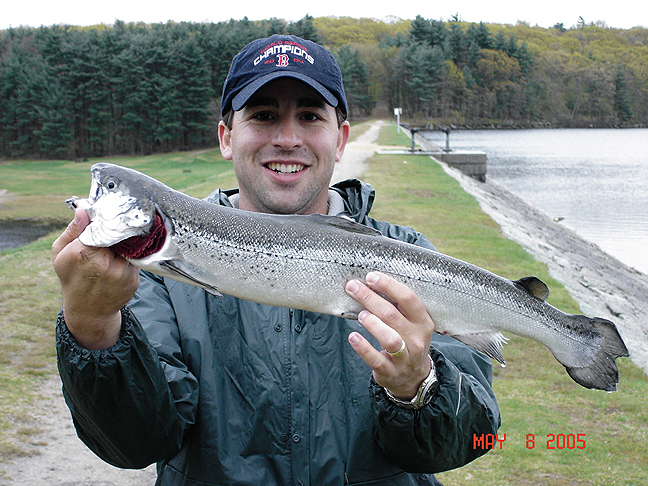 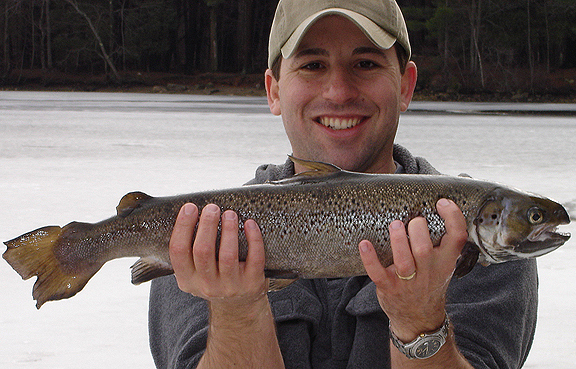 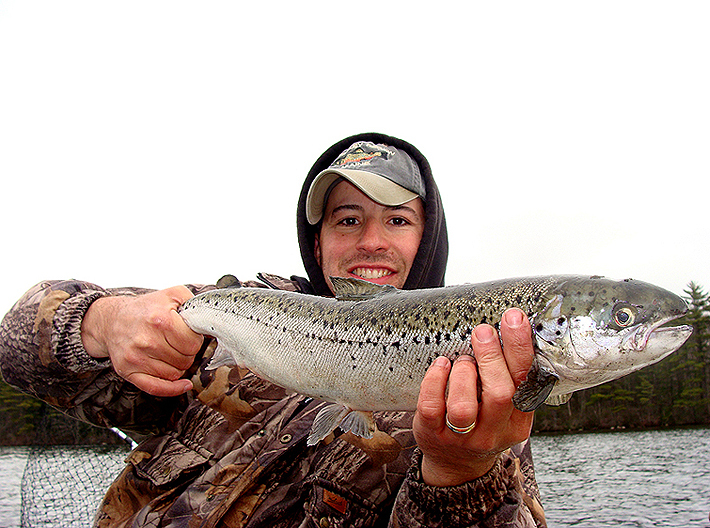 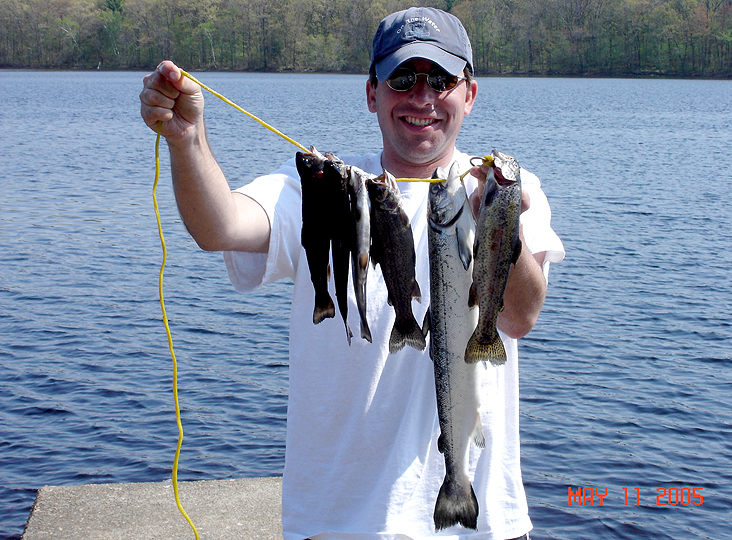 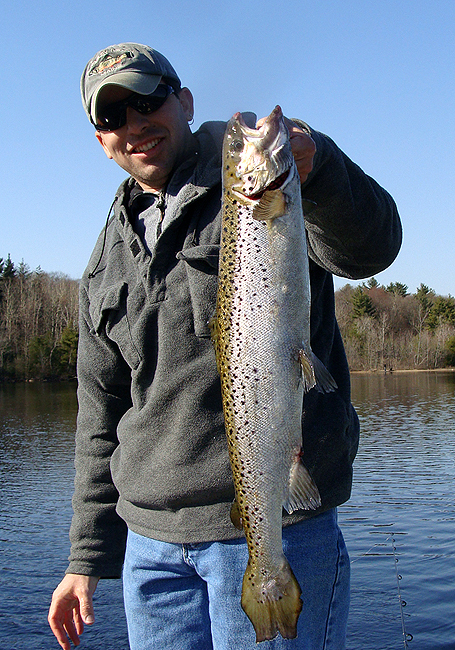 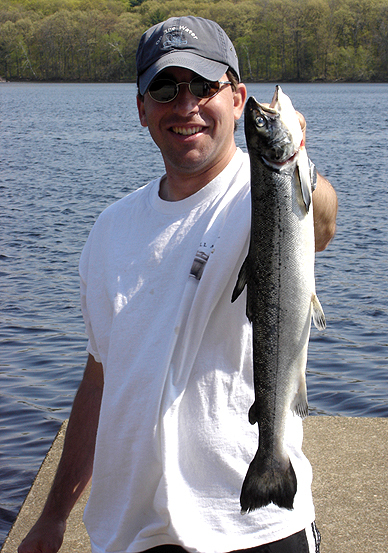 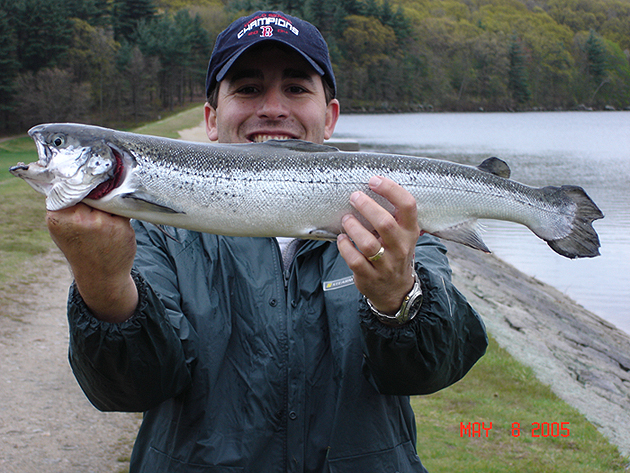 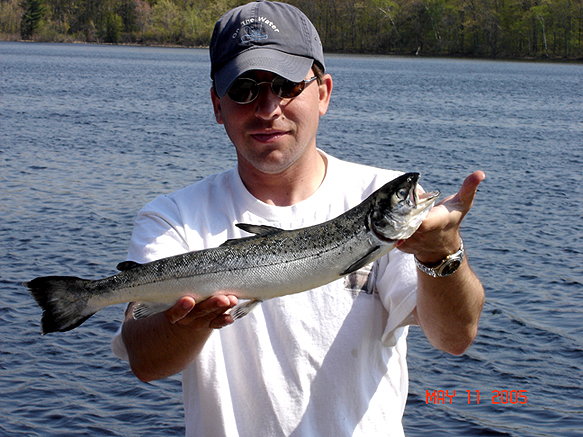 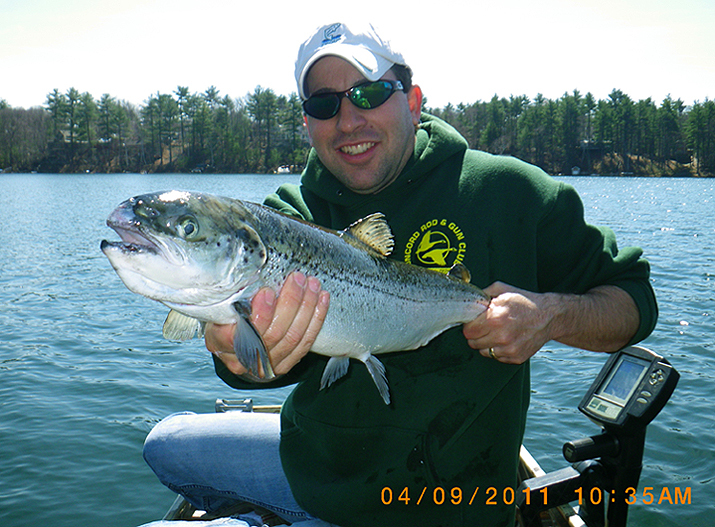 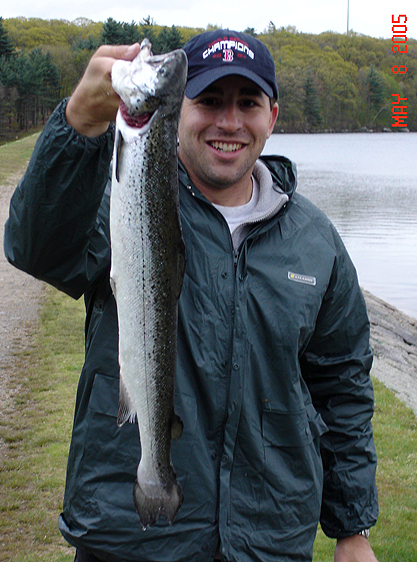 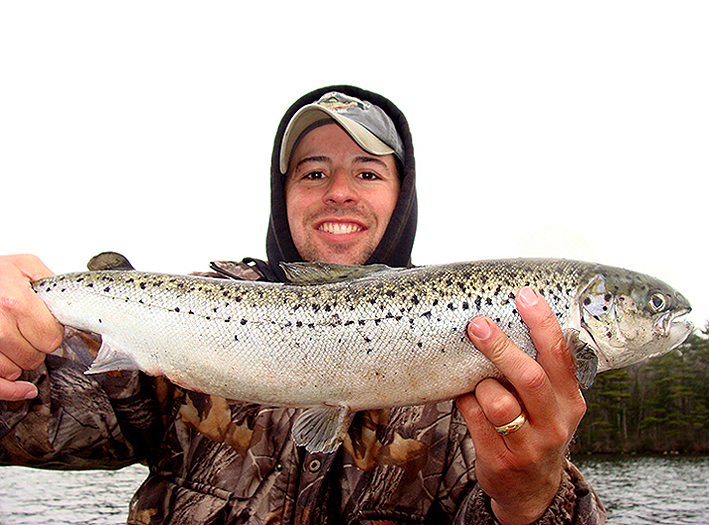 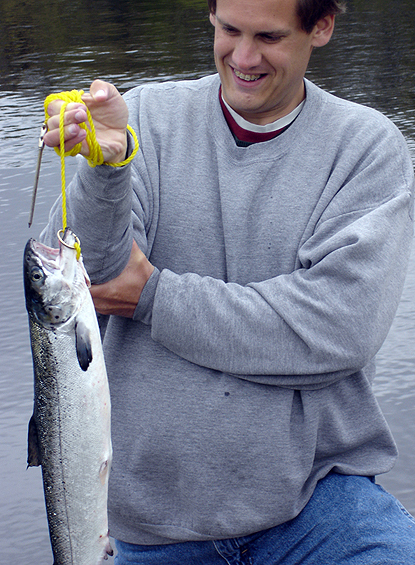 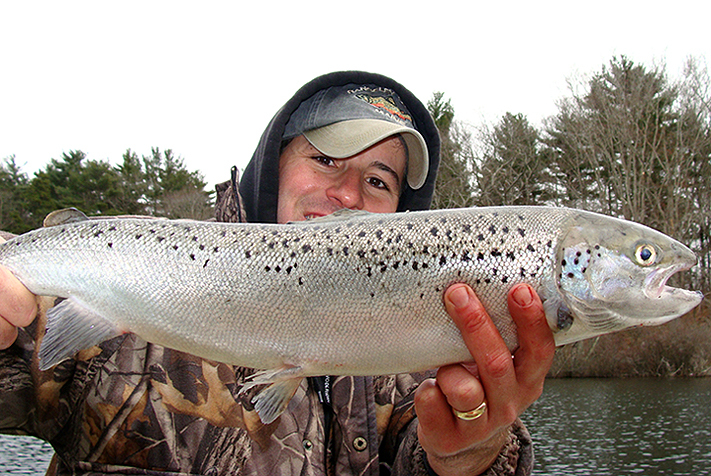 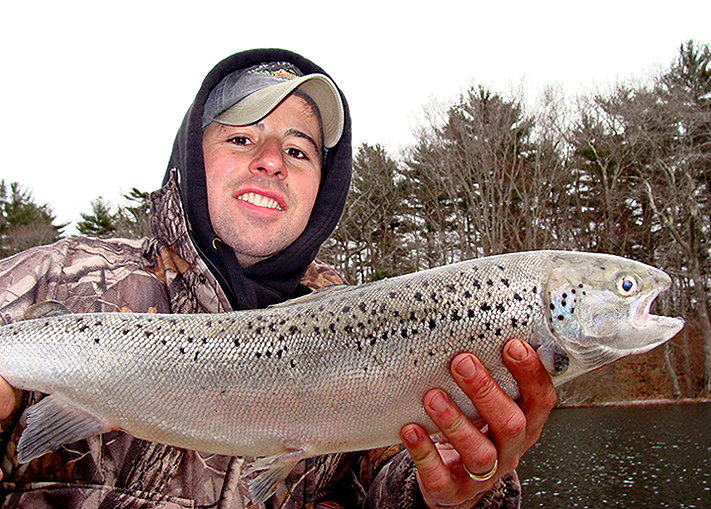 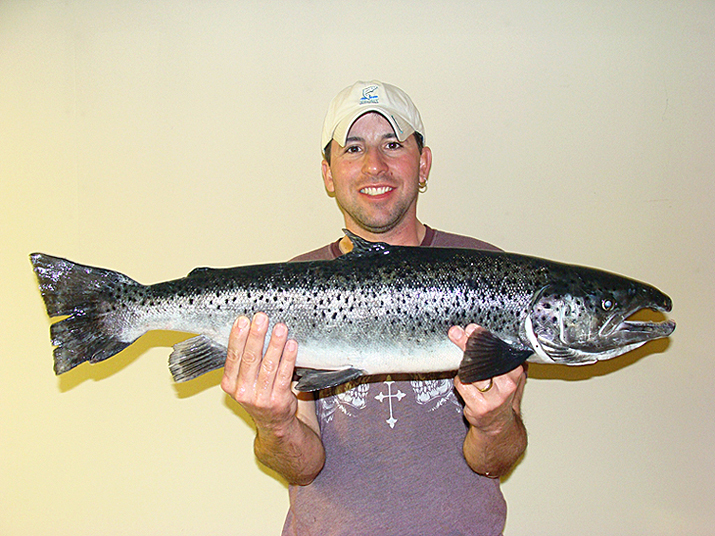 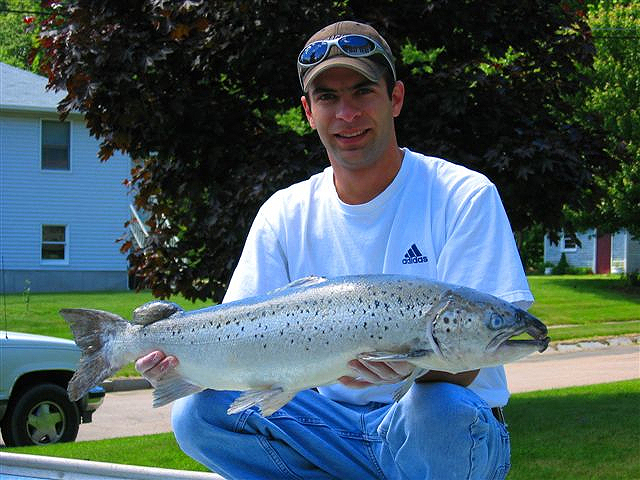 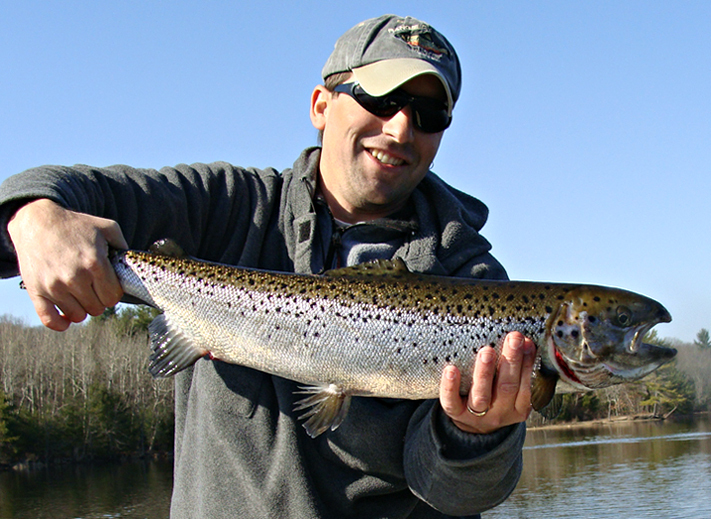 Every year big old retired broodstock salmon from the Connecticut River Atlantic Salmon Restoration Program are released into lakes and ponds across the Commonwealth of Massachusetts by the Division of Fisheries and Wildlife (MassWildlife). 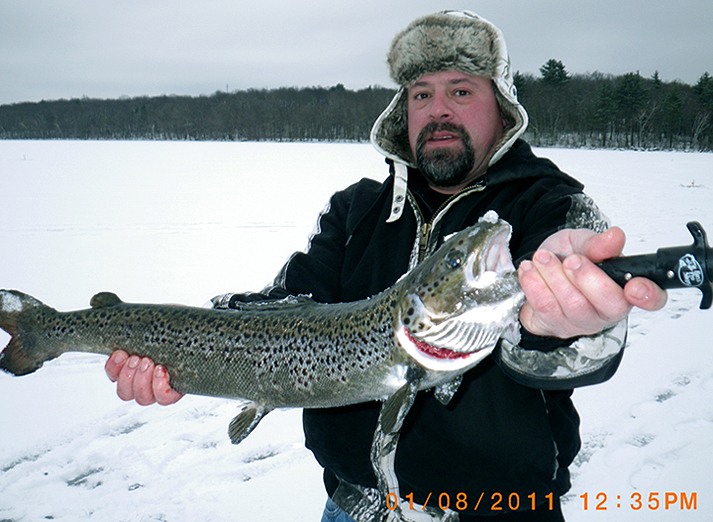 Stocking generally occurs in December but this year Stocking operations were considerably delayed due to ice and snow storms in December and early January but the fish finally did get stocked by mid January. 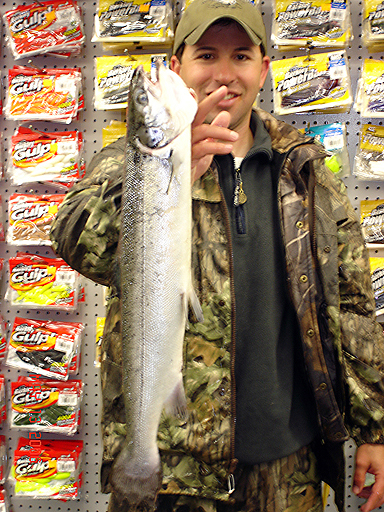 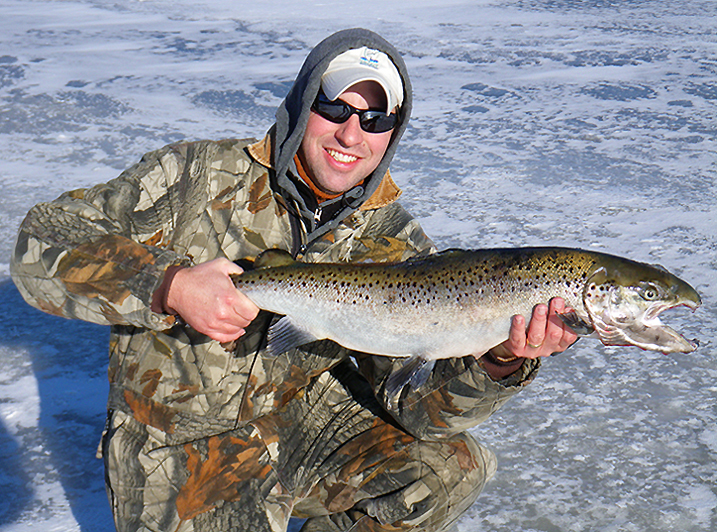 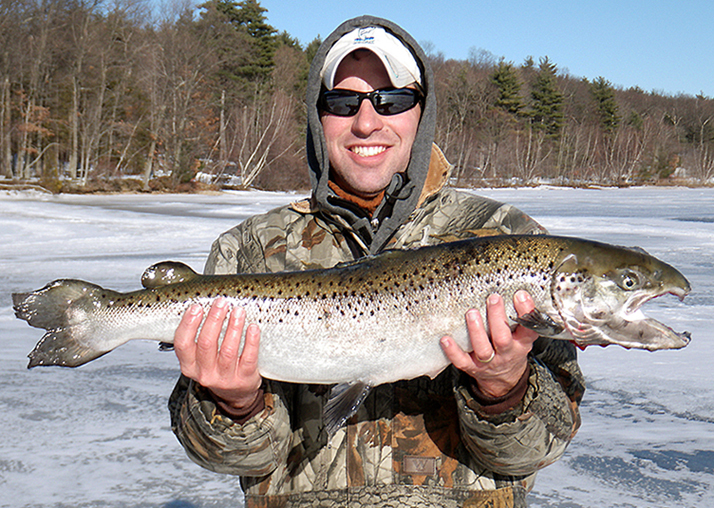 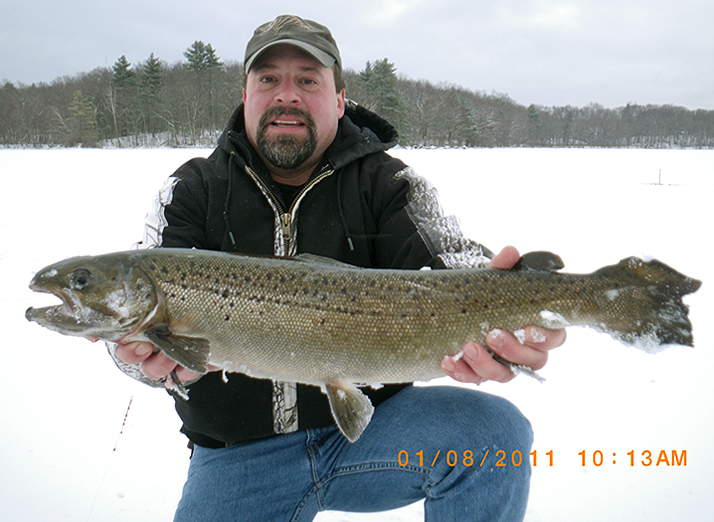 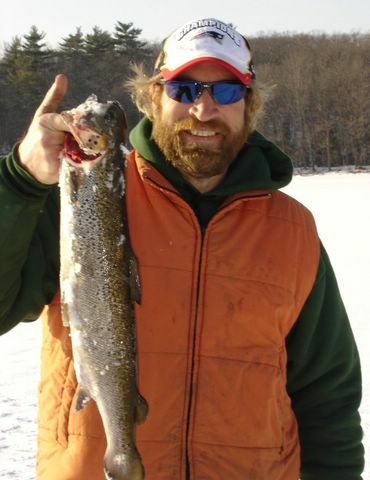 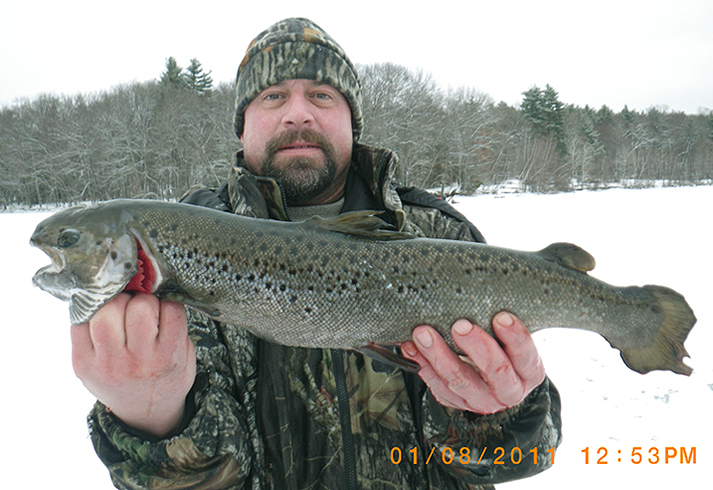 Providing ice fishermen with some trophy opportunities to chase. 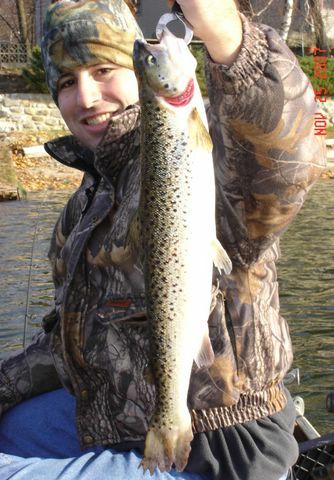 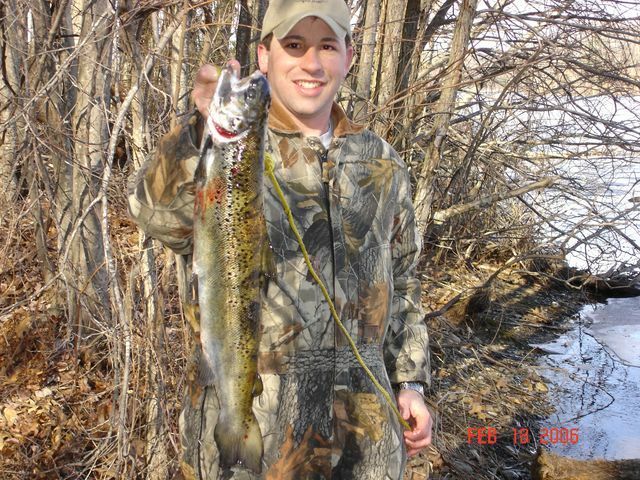 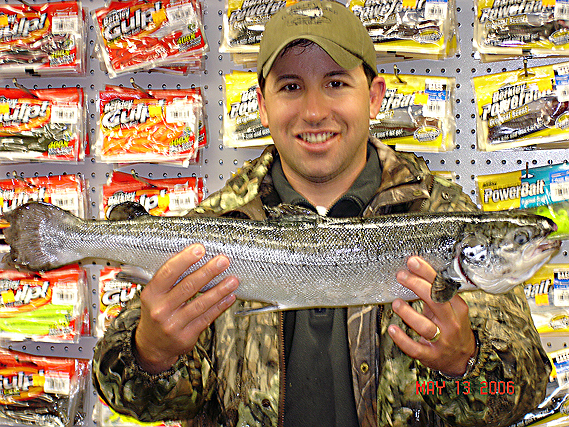 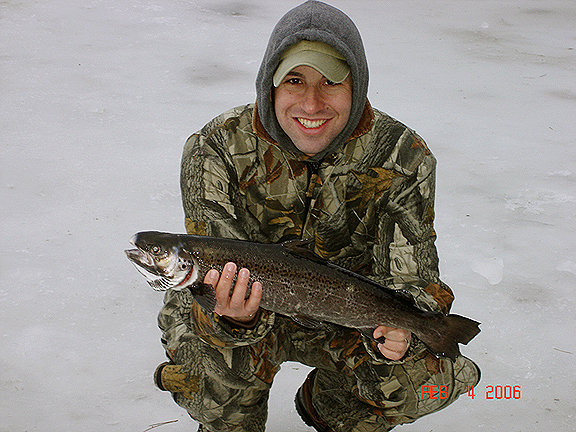 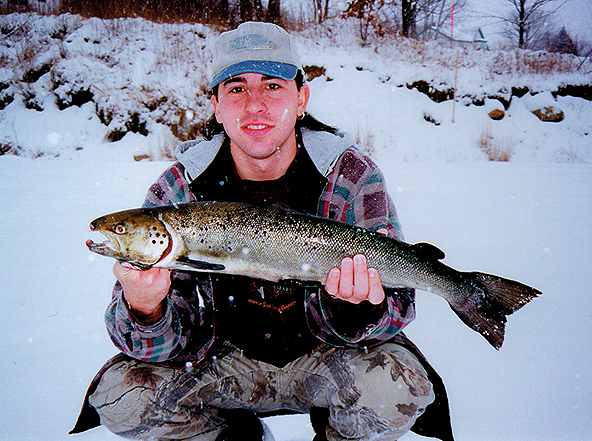 Come ice out these fish are a blast to hook. 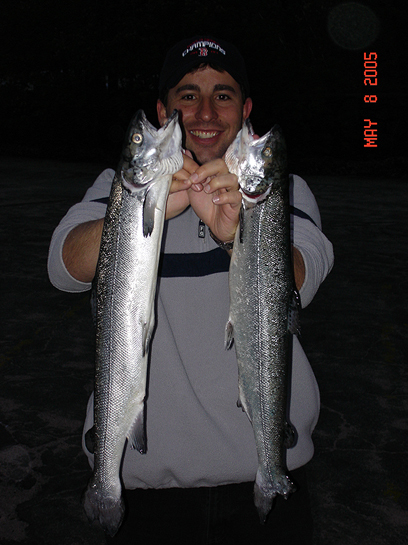 Though hatchery reared don't let these fish fool you, they will make your drag scream and provide you with an aerial assault. 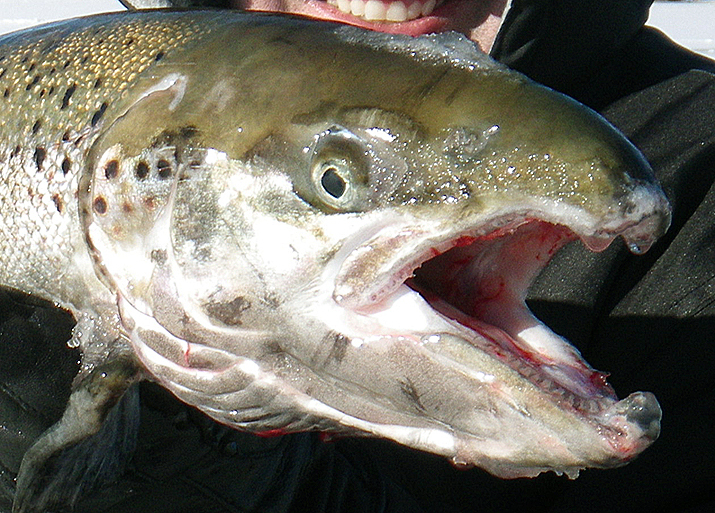 The majority of fish come from the U.S. 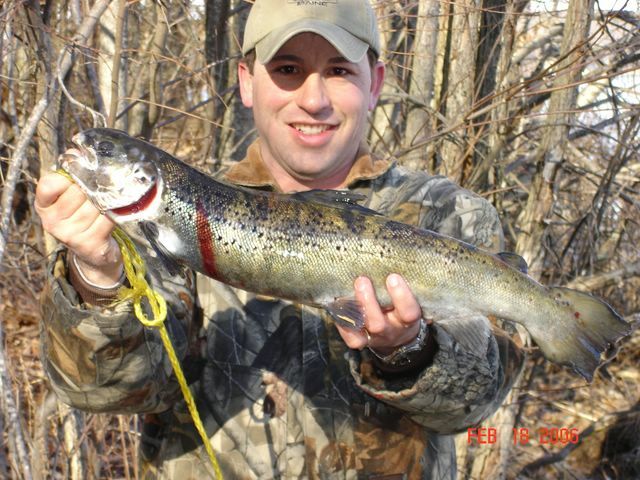 Fish and Wildlife Service's White River National Fish Hatchery in Vermont and the remainder from MassWildlife's Roger Reed Salmon Hatchery in Palmer. 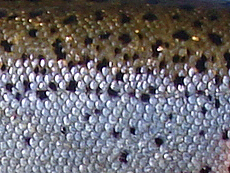 Fish are evenly distributed to each District. 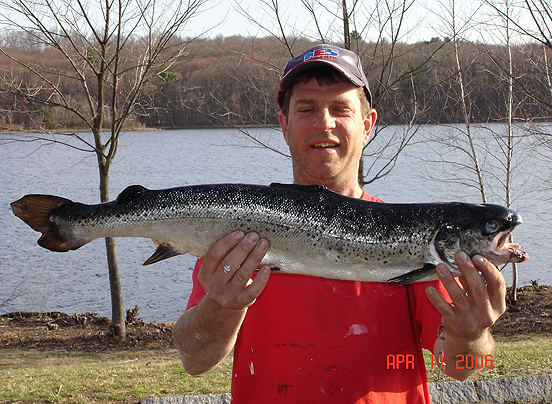 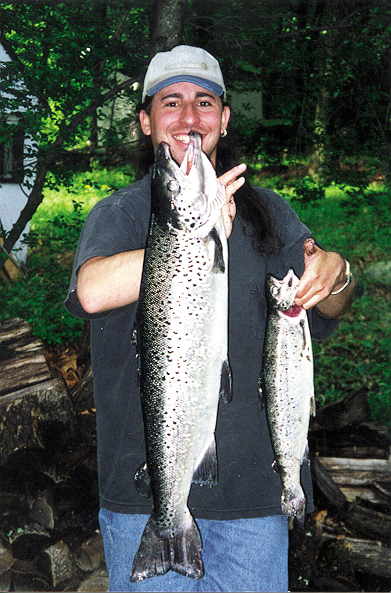 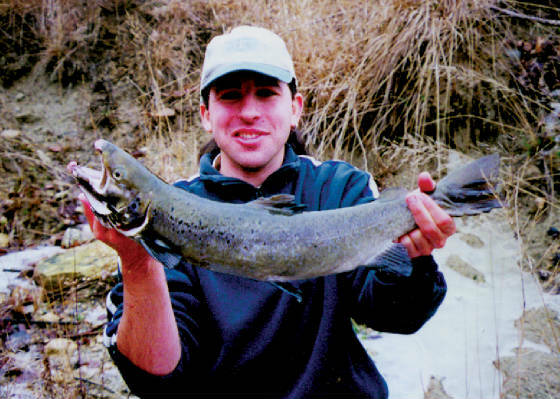 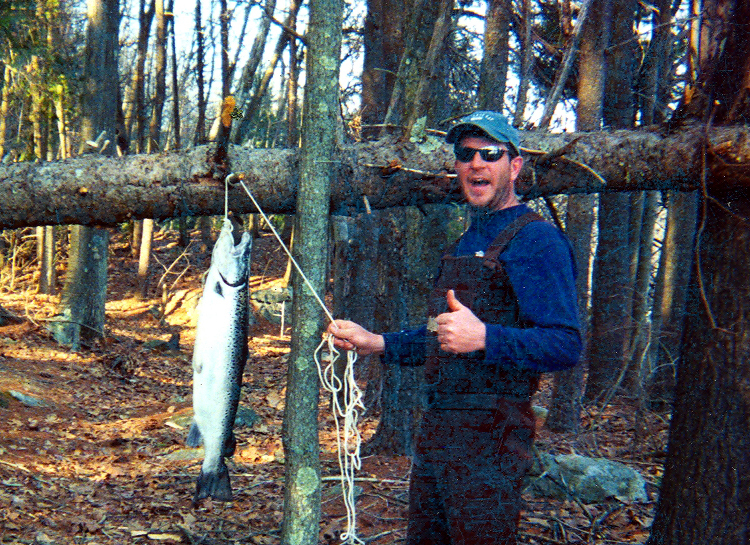 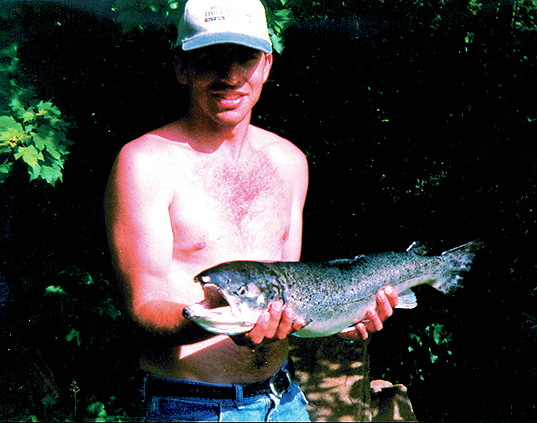 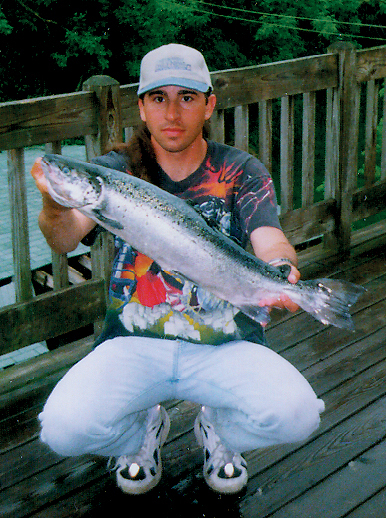 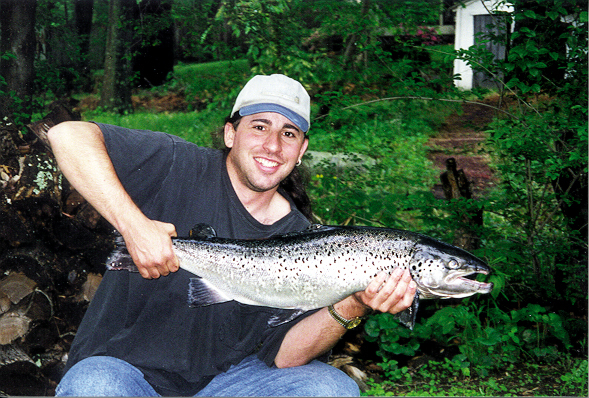 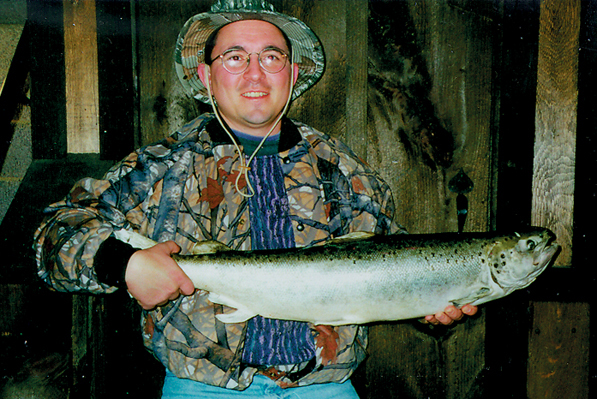 Below these salmon were all caught from Massachusetts waters.